Of all flowering bulbs, Amaryllis are amongst the easiest and most rewarding to grow and flower – whether indoors or out. Amaryllis bulbs produce incredibly showy, trumpet-shaped blooms that add a flamboyant and bold statement to gardens and homes throughout South Africa. The Amaryllis’ flowering period extends from spring through to autumn; conveniently coinciding with the festive and holiday season. Poinsettias are the traditional holiday flower – but Amaryllis bulbs have to be close on their heels! The wide range of spectacular double and single red blooms, make this plant a festive winner over the holidays. 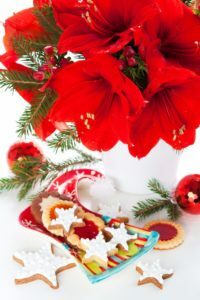 Potted plants can be used as décor items, but also make long-lasting and stunning gifts for festive gifts and year-end gifts of appreciation. Like with all bulbs, Amaryllis store all they need to ‘bloom’ in their enlarged bulb. All that’s required is for you to plant the bulb and add water – then sit back and enjoy! For instant beauty, visit your local GCA garden centre and purchase a potted amaryllis. Whether indoors or out, their key requirements are drainage and a sunny location. Mixed colours and varieties in abundance – choose from an endless range of mini, medium or large flowering blooms in an endless range of colours – including whites, pinks, orange, red and more. 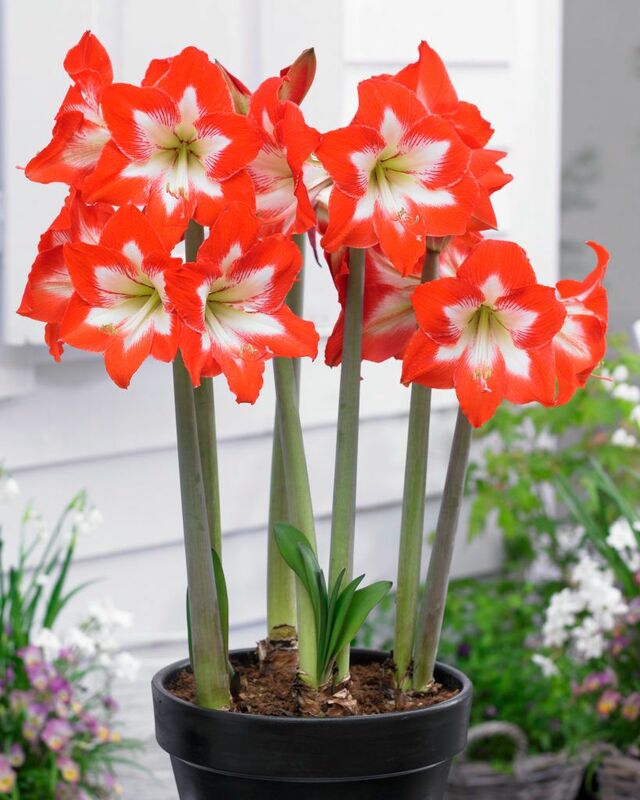 Longevity… Amaryllis bulbs flower within 4–6 weeks of planting. Most plants will produce flowering stems, which easily extends the growing period to 6–8 weeks. The true ‘BONUS’ with Amaryllis bulbs is that they grow for many years. Bulbs can be stored in a dark, dry cupboard and replanted next season, or if planted into the garden – the bulbs will naturally regrow and flower, provided they receive enough sun and are watered regularly enough. Top heavy: Amaryllis blooms can be spectacularly large (and heavy). Select heavy, larger pots and add weight with rocks or sand in the base to prevent flowers ‘toppling’ over. Drainage: Amaryllis bulbs need good quality, well-drained soil with adequate drainage holes to thrive. Novelty Amaryllis are often grown in glass vases and decorative containers with no drainage – take care to ensure the bulbs remain outside the water, with only the roots getting wet. Rotate: Blooms grow towards the sun and you’ll notice this clearly when growing Amaryllis bulbs. To ensure flower stems are long and straight, simply rotate the pot every few days – allowing all parts of the plant to receive similar amounts of sunlight. After flowering, the plant should be left until the leaves have dried and died-back completely. Cut them off and store the bulb in a cool, dry place to replant or re-grow the following season.